Cary is a thriving community in the heart of the Triangle area of North Carolina, between Raleigh and renowned Research Triangle Park. The Triangle area is repeatedly ranked among the top regions in the country to live or work, to find a home or start a business, to raise a family or retire. 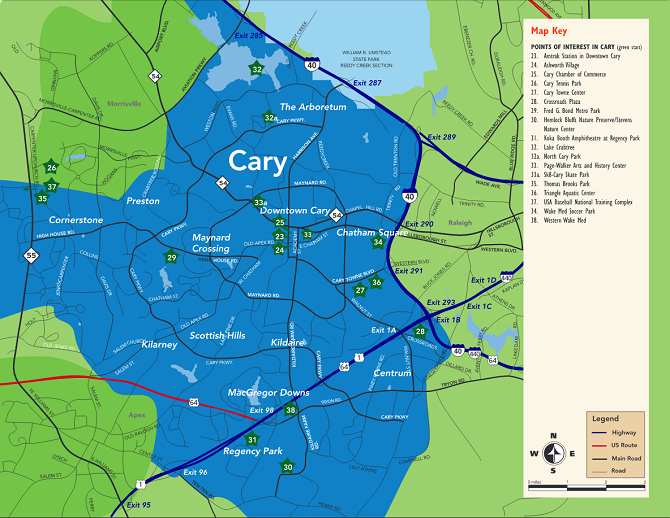 Visit www.townofcary.org to learn about all the wonderful opportunities and activities the area has to offer.